We are a leading Manufacturer of polyester thread from Nagpur, India. We have gained recognition as the significant manufacturer and supplier of Polyester Thread. 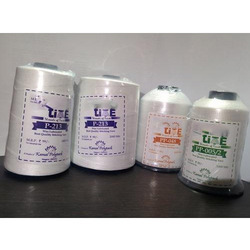 These polyester threads are used on day to day basis in packaging industry. Offered polyester threads are knitted from quality proven material and modish technology as per the industry norms. Our polyester threads are checked convenient to run on bag closure sewing machines.